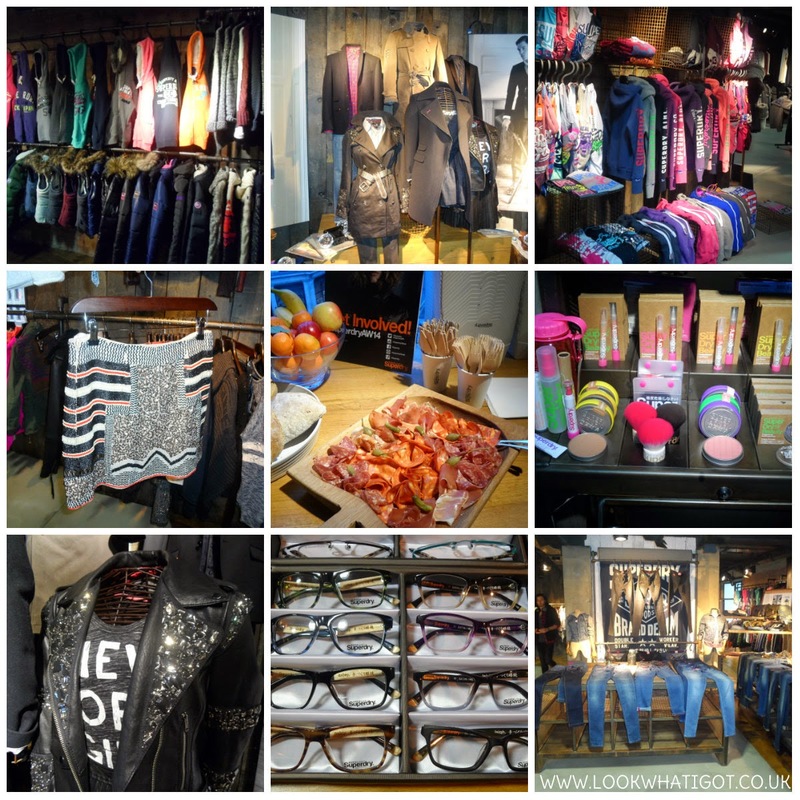 So regular readers to LWIG know that I love Superdry and I have been lucky enough to be invited to their events (see past event here ) . This year has been no different and I have been to three really great event during the year, and rather than separating the posts I decided to show you what I have been up to in one place!! 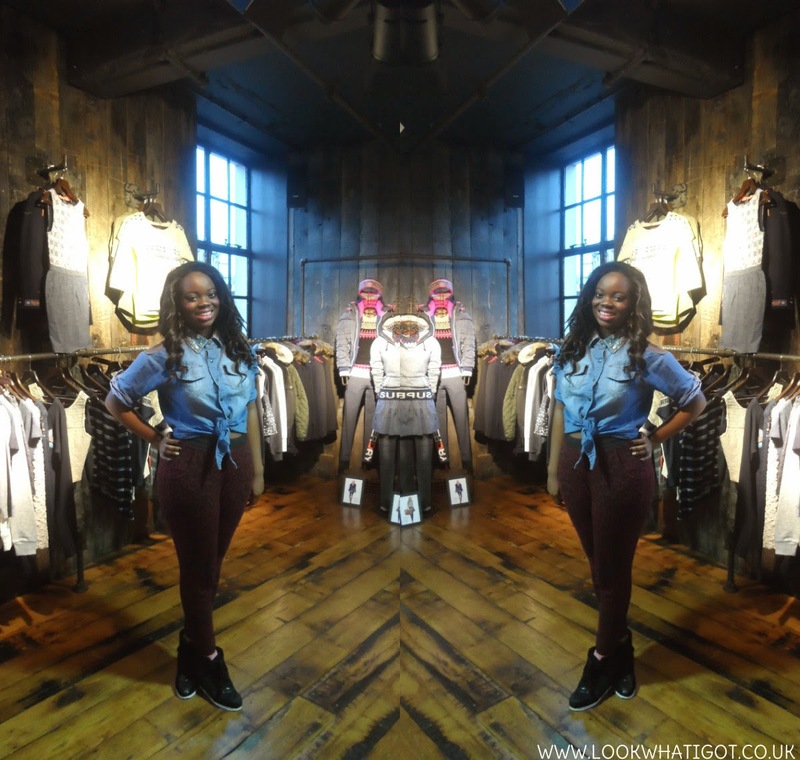 Back in March, I headed to the Superdry flagship store in Regent Street to view the upcoming AW14 collection. Now since summer is drawing to a swift close, boo, it only made sense to show you the lush items that will be trickling into the store this upcoming season. I was really impressed with the collection. I am always drawn to the jeans and coats from Superdry. I loved the level of detail in all the pieces, I was especially drawn to the embellishment on the leather jackets. The jeans were great as ever! Soft, great shades and brilliant fit. I actually own a pair at the moment, and if you are looking for a great pair of jeans, head over to your nearest Superdry store. I was surprised to see that Superdry are doing specs! Now as a wearer of glasses, I was intrigued I will be keeping my eyes on the tortoise shell ones. As well as great clothing the food was delicious! I couldn't get enough but thought it was best that I left otherwise all of it may have been gone. 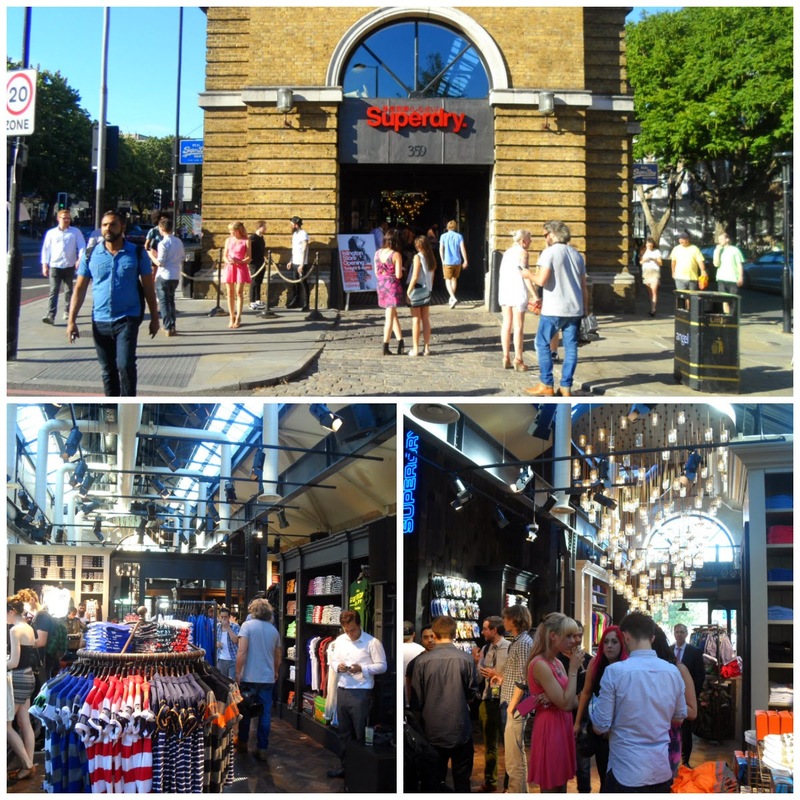 In sunny July, I headed to trendy Islington to view the new Superdry concept store! As well as being in a great location, the store featured the Superdry premium denim range, leathers, Superdry + Timothy Everest and main collection classics. The atmosphere was live! The DJ was pumping some old school tunes from the late 80s and 90s. I am talking Biggie, Missy,Lil Kim and of course a party favourite Candy by Cameo! The DJ set was hosted by the In Crowd, which featured Model Ricki Hall! You can see he sticks his tongue at me in the Youtube video, lol. Other up and coming bands were the sick Them and Us and there was a live performance by Big Deal, but I had missed that.The layout of the store was very spacious and I loved seeing all the products, I was so tempted to pick up a few pieces but I had to restrain myself! If you want to see what the store looked like for yourself, then click on the Youtube video above. Have you ventured to the new concept store? It is totally weird to think about Christmas when it is in the middle of Summer. But for those of you who don't know, July is when all the fashion and beauty brands start showcasing their range for Christmas. 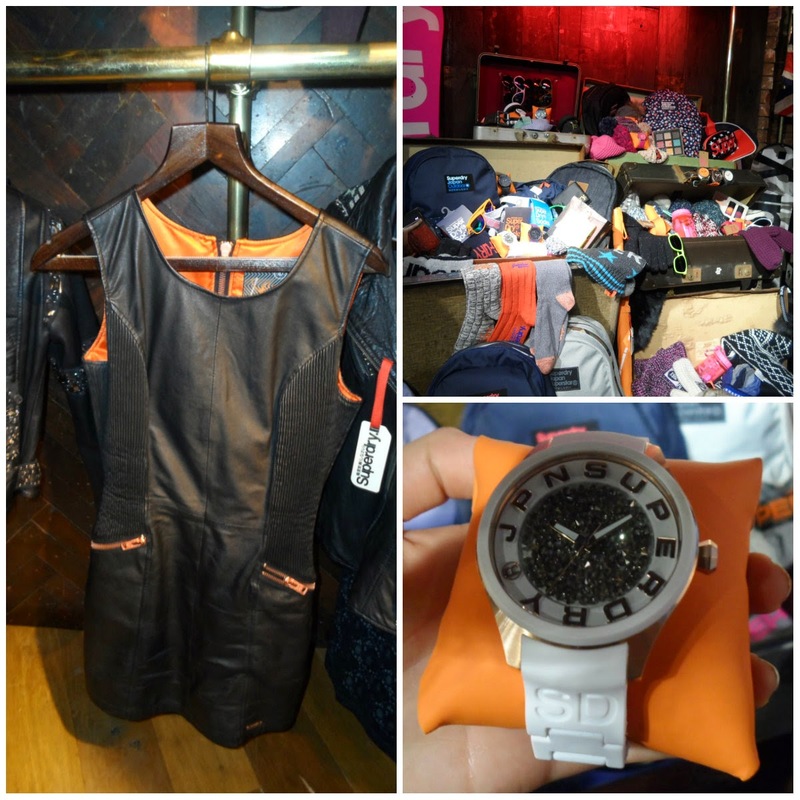 Superdry hosted their Christmas in July at their flagship store in Regent Street! 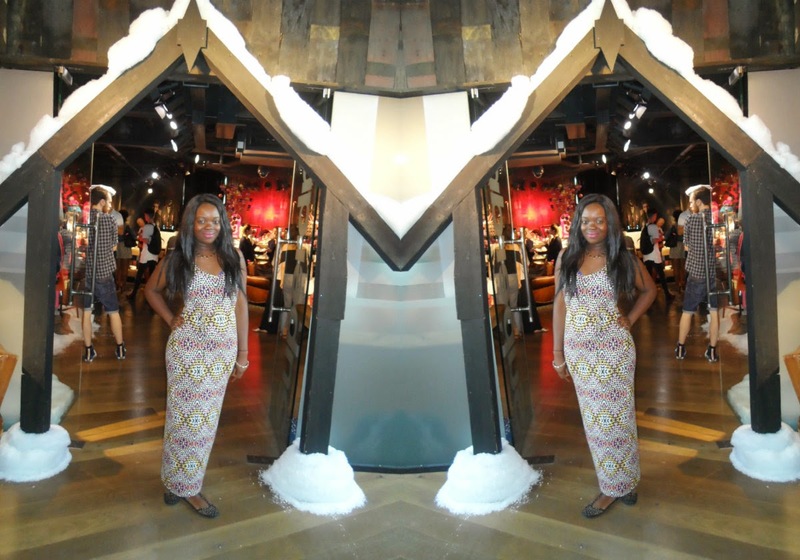 As soon as I stepped in, it was like it was actually winter and I was venturing into a ski lodge in the Alps. Ah a girl can dream!! I was intrigued to see the new beauty lines from Superdry, now I think this range is under rated, but if you are looking for affordable and great pieces deffo give them a try. I swear by the eyeliner pen and mascara. For Christmas, I saw the usual Timothy Everest and main collection classics, which I liked. But what really caught my eye was the leather dress. It was a great mix of feminine and edgy and the shape was lush. Now it was too thick, so if you were to choose this piece you wouldn't sweat like a pig, but it was warm enough for the upcoming season. I also was impressed with the accessories, mainly the watches.. I try to wear watches often but I always rely on the phone, but having a look at the new ranges, I may have to make an effort to wear some. Now any event review, wouldn't be complete without me talking about the food!! It was orgasmic!! Chocolate filled crepes with banana, milkshakes,sweets and cakes. I was in heaven, I really don't know why I am not fat yet! So that was my Superdry round up, what do you think of the upcoming lines? If you like any of the range, be sure to check out the site and you can get discounts here! Yo, yo, yo loves. I am super excited to showcase this post with you after teasing you with pics from Instagram. 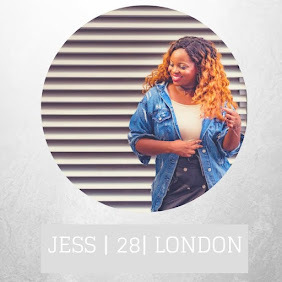 A month ago, my new blogger buddy Jade and I went on a little adventure around London and took these fab pics! I thought since we are going to be shooting, it would be the perfect opportunity to do an outfit of the day with my new handbag that House of Fraser gifted me! I really love the bag, I think it is the first time in a while since I had a white bag mainly because I am afraid to get it so dirty, but it is holding out well so far. When I was planing my outfit, I decided on this hipster chic combo! I really love monochrome, so my trusty black and white harems from H&M were the perfect choice. As the bottom half was sooo busy, my top half had to be simple so I just went with a simple white cut out, shoulder t-shirt from good old Primark. I am starting to believe that I may have a hat head now,especially since my Topman bowler actually looks good on my head. What do you think? To complete my look I had to bust out my metallic flatforms, is it me or are flatforms really tricky to walk in!! I had so much love for these shoes until they broke after taking a few steps!! Oh Primark why are your shoes so troublesome? Hmm, anywho what do you think of my look? 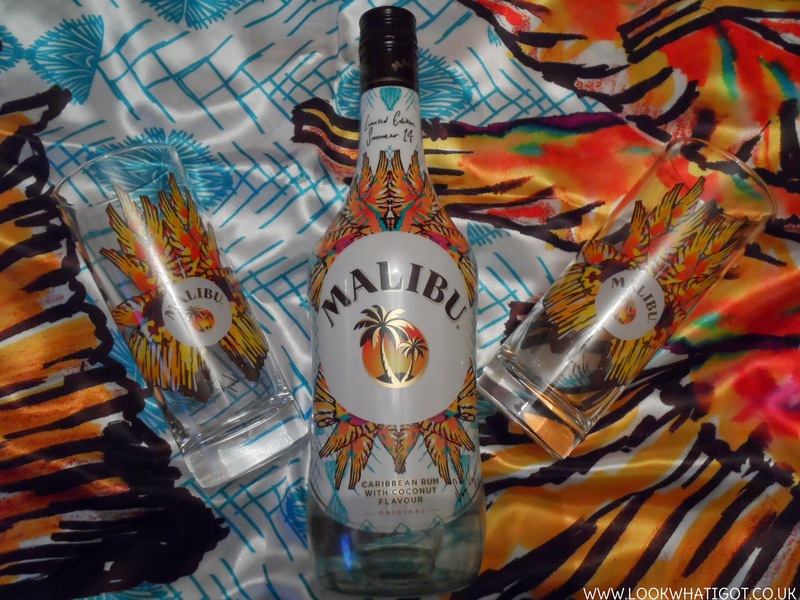 So a few weeks ago, I got sent the new limited summer edition Malibu Rum. This new bottle is one of a kind as the bottle was designed by British designer, Sera Ulger. Inspired by Malibu' essence of happiness and summer. The bottle is bold, colourful and very energetic! Not only did Sara Ulger, design the bottle, she also created the ready to wear collection, which also uses the same design of the bottle. 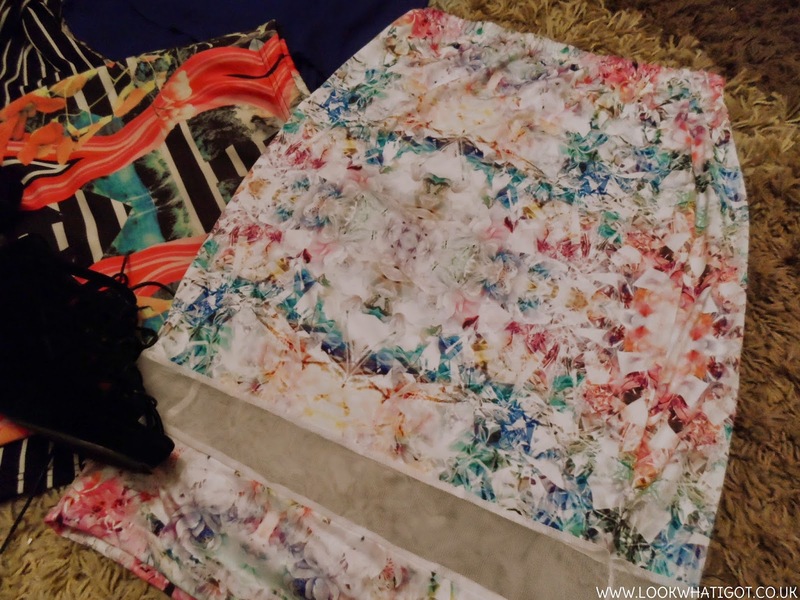 The RTW collection features snap back, scarf , tote bag and limited edition glasses! I was super excited to be sent this as I love Malibu! I haven't had a chance to make cocktails yet, but I will check out their recipes. Thanks Malibu! What do you think of the collection? Hey all, the lovely guys at Chiara fashion sent me this Cami top, which is apart of the new collection. I was set a challenge to style this racer back cami three ways, and I happily stepped up to the challenge. Before I talk about my looks, can I just say how much love I have for this top, usually when I do I review I like to really trial it out. I have not been disappointed with this cami top! Firstly, it is a great colour which complements my skin tone, I love the shape of it, it is very feminine and easy to style. Also I have washed it and worn it a few times and it has retained shape and colour. Also it is super comfy! 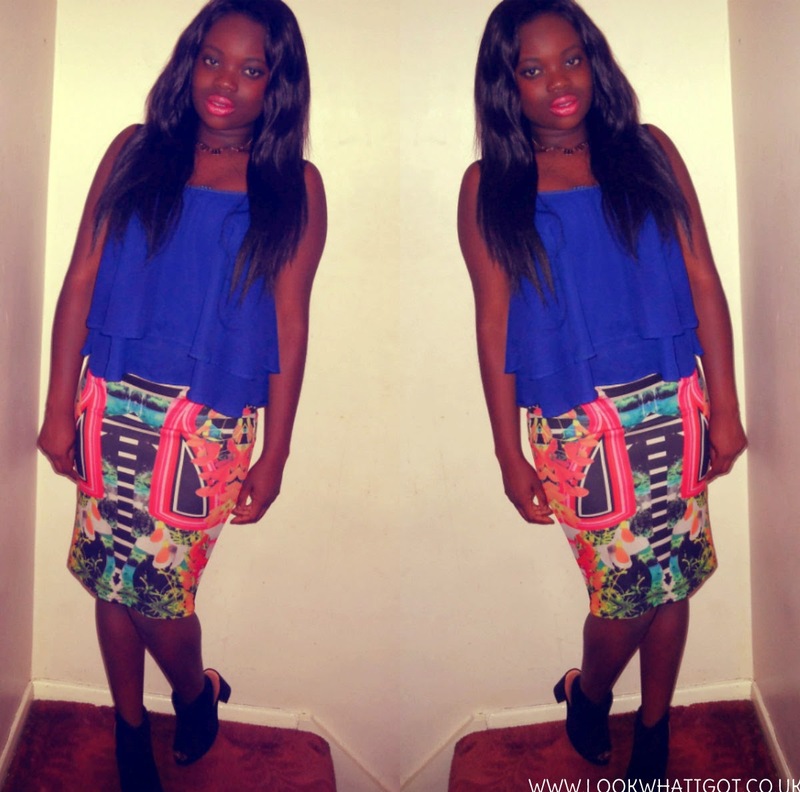 For the first look, I decided to wear my FD Avenue skirt (worn here). 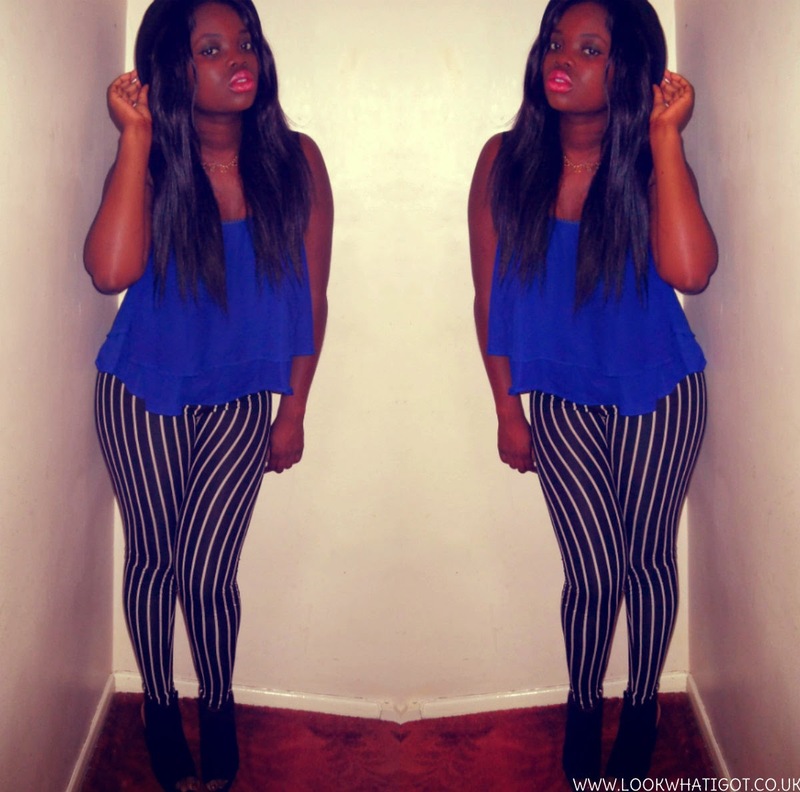 I thought pairing the top which is floaty with the a midi,bodycon skirt really flattered my shape. Also I thought it was nice to have a bit of pattern on the bottom half of my body. As there was so much colour going on with the outfit, I still wanted my shoes to make a statement, but not over power the outfit. So that is why I chose my Primark cut-out boots, which was an amazing £16.99! For the second look, I went for an edgy/hipster vibe. I paired the cami top with my trusty Topman bowler. Unfortunately, I got this as a present a couple of years ago, so you can't get it anymore, but try Ebay. I decided to wear leggings this time, again from Primark, as I didn't want this look to be too girly. Finally I finished the look with the same cut-out boots as look 1. Finally, for look 3 I went uber feminine! 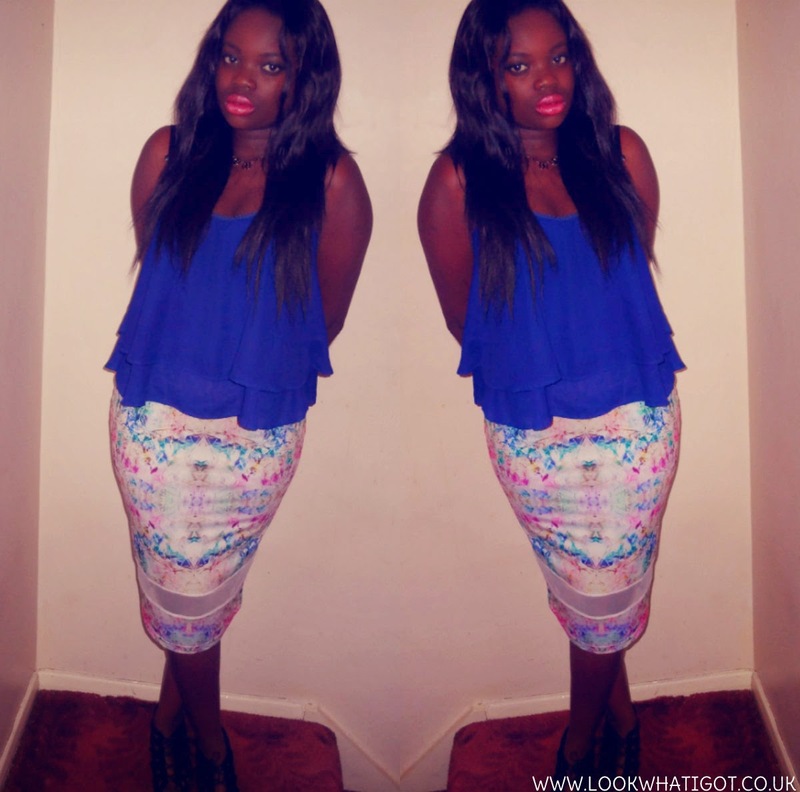 I paired the cami, with a floral midi skirt, for Primark again! However, I changed up my shoes and wore my lace up wedges from internacionale. Internacionale has gone under administration, but I have found a similar pair of wedges here. I hope you liked my looks! If you had to wear this cami how would you style it up? 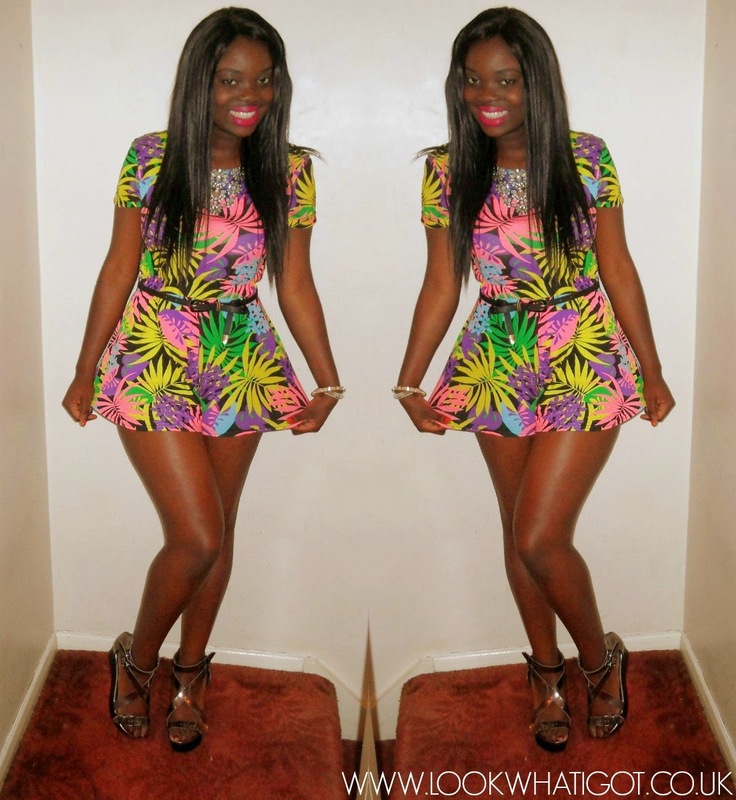 So a few weeks back, I was sent this lovely playsuit from Ikrush. If you don't know about Ikrush it is a new affordable fashion brand, that is making waves within the fashion blogger community. I chose this gorgeous playsuit, as it was bright and full of life. I paired the outfit with a black belt, to give the outfit shape. The playsuit is a little short, so I will be wearing thin tights with it next time, I dunno what do you think of the length? The pattern was already busy, and usually I would pair a simple jewellery with this piece, but I decided to have fun and put my favourite necklace with this outfit. 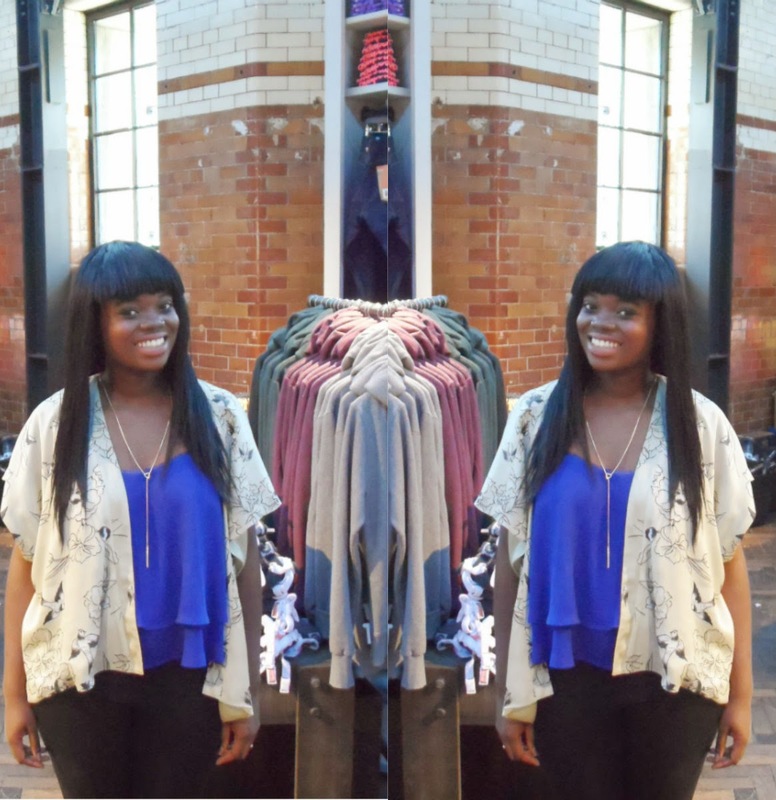 To finish the outfit off, I paired it with my metallic flatforms from Primark. Sadly, the heels broke after wearing it once! So I warn people not to buy them, even though they look lush. Anyway what do you think of my outfit? © LWIG:Look What I Got! 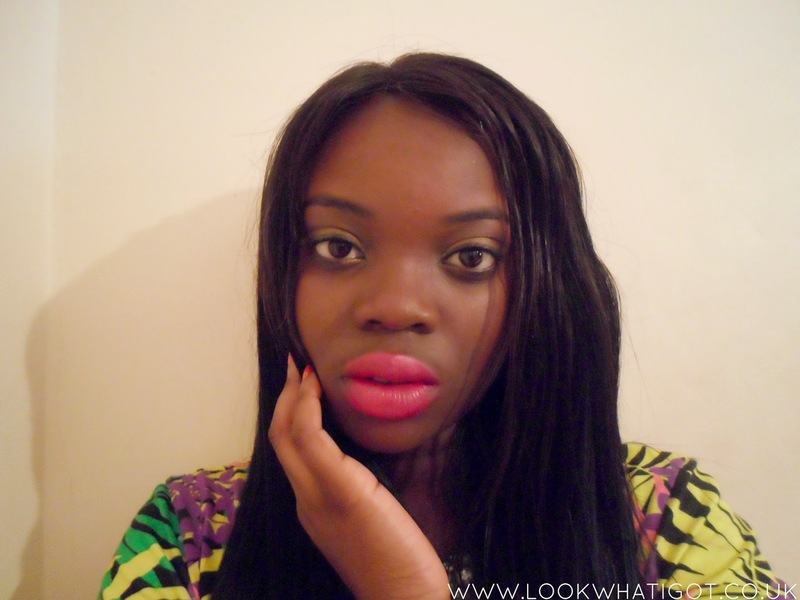 // A UK Fashion and Beauty blog | All rights reserved.